'This is what we share' is the theme that sums up all the activities Holland and Flanders organise at the Bookfair in Frankfurt this year. 'We' are Guest of Honor, and over seventy writers and illustrators are invited. I will be attending the fair from Thursday the 20th of October til Sunday the 23rd. There will be many talks & interviews & book signings. 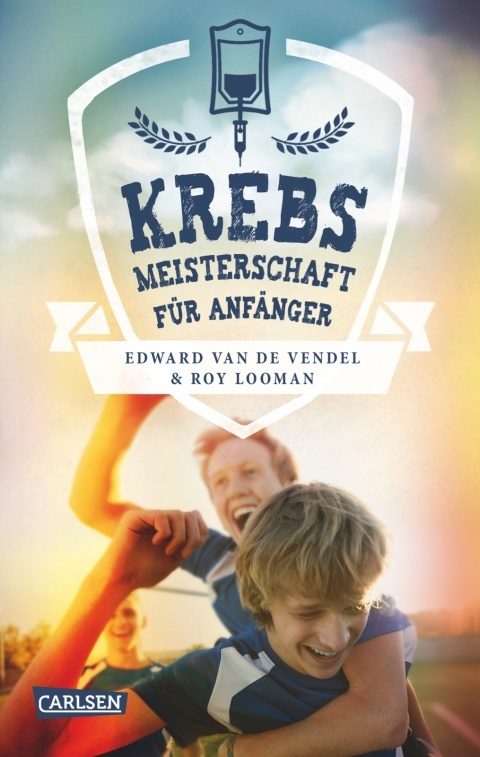 The talks mostly will be about my latest youth book; KREBSMEISTERSCHAFT FÜR ANFÄNGER (THE CANCER CHAMPIONSHIP FOR JUNIORS, written with Roy Looman, translated by Rolf Erdorf and issued by Carlsen Verlag). One event is extra thrilling: this Friday the winners of the German Literature Prize will be named. 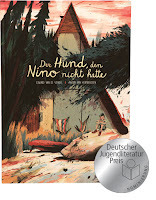 Illustrator Anton Van Hertbruggen and me are nominated for our picture book THE DOG THAT NINO DIDN'T HAVE. (Published by Bohem Press, translated by Rolf Erdorf) Many other wonderful picture books are nominated, so we won't win the award, but still: exciting!